Scarcely out of print since the early 1870s, For the Term of His Natural Life has provided successive generations with a vivid account of a brutal phase of colonial life. The main focus of this great convict novel is the complex interaction between those in power and those who suffer, made meaningful because of its hero’s struggle against his wrongful imprisonment. Elements of romance, incidents of family life and passages of scenic description both relieve and give emphasis to the tragedy that forms its heart. Marcus Andrew Hislop Clarke was born in London on April 24th 1846. His mother died when he was still an infant. His father, William H. Clarke, a barrister and literary man of retired and eccentric habits, took very little interest in his upbringing, with the result that the boy grew up in the uncongenial society of older men who formed the circle of his father's friends - a circle, as he put it later, 'in which virtuous women were conspicuous by their absence.' As was inevitable, this lack of parental guidance and general emotional neglect produced an unstable and disharmonious temperament. 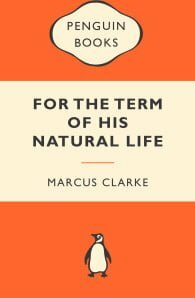 Having received a good education (at Chomley School, Highgate), and having been led to expect an economically secure upper-class life, Marcus Clarke found himself on his father's sudden death in 1863, alone in the world and without resources. He emigrated to Australia, where his uncle, James Langton Clarke, a county court judge, secured for him a clerkship at the Bank of Australasia in Melbourne. Being temperamentally quite unfit for an office career, he left after a few months to take up sheep-farming near Glenorchy on the Wimmera river, a hundred miles inland. Here he made the acquaintance of Bush tribes and soon began to send literary sketches to the Australian Magazine under the pen-name of 'Mark Scrivener.' In 1867 a Dr. Lewins whom he had met at the sheep-station, obtained for him an appointment on the staff of the Melbourne Argus. This was the beginning of one of the most brilliant journalistic careers ever established in the Australian press. Apart from doing his routine work as a reporter and leader-­writer, Marcus Clarke began to contribute to various journals and weekly magazines. His series of critical essays on men and manners, signed 'The Peripatetic Philosophers,' soon won a reputation as the best writing of its kind yet done in Australia. While still working on the Argus he bought the Australian Magazine, renamed it the Colonial Monthly and in it serialised his first novel Long Odds, of which some chapters were written by G. A. Walstab, one of his most intimate friends. The work appeared in book form in 1869. In 1868 he began to write for the Melbourne Punch and a year later brought out a rival comic paper Humbug which, however, only lasted three months. In 1871 he contracted with the pub­lishers of the Australian Journal to write a story on the system of penal transportation which had been practised by the British Government during the first half of the 19th century. Having received an advance payment, he went to Tasmania to improve his health and to study, an the spot, the surroundings of the old convict settlements. The result was For the Term of His Natural Life, the one and only work with which he established his name in world literature. It first appeared serially (in a most dilatory fashion) in the Australian Journal between March 1871 and June 1872. It was brought out in book form, much shortened and improved, in 1874 and was later published in London, America, Germany and many other countries. In 1870 he was made clerk to the trustees of the public library in Melbourne, and in 1873 became sub-librarian. However, he spent most of his time in literary work of the most varied kind, from psychology to pantomime. He was deeply disappointed when, in 1880, on the death of the librarian, he was not chosen to succeed to the post. A year later the trustees requested his resignation on account of his insolvency. His health had been poor for a number of years, and this final blow broke his spirit and his will to live. He died suddenly on August 2nd 1881. 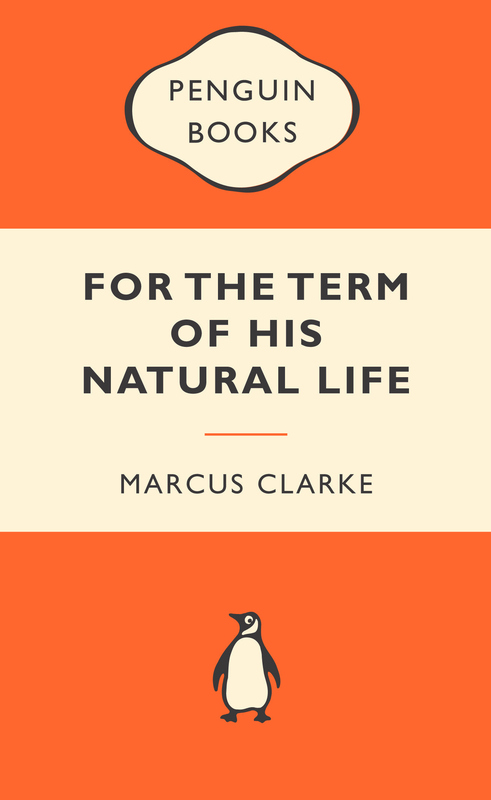 In the course of fourteen years of literary activity, Marcus Clarke wrote (apart from the two novels already mentioned) about thirty minor tales, a dozen plays (dramas, comedies, burlesques, and adaptations), pantomimes, pamphlets and many critical and satirical sketches and essays. Among his works may be mentioned Plot, a sensational drama produced successfully at the Princess Theatre in Melbourne in 1873; an adaptation of Moliere's Le Bourgeois Gentilhomme; a pantomime called Twinkle,Twinkle, Little Star; also a collection of stories, Holiday Peak.